Crasset — History of the Church of Japan, 1707. 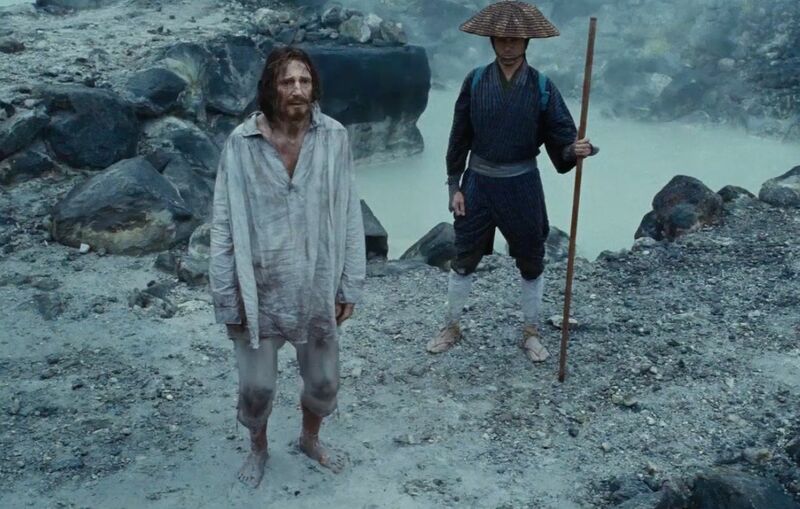 Eighteen Christians, four of them found among the local baron Matsukura’s own subordinates, were taken in procession up the slopes of Unzen to the boiling lakes. One, gazing upon a Mouth of Hell, brightly opined that for him it would be the Gateway into Paradise. Another shouted praises to Jesu Cristo and hurled himself into the lake, much to the annoyance of another Christian, Paul Uchibori, who warned the others that they were there to be martyred, not to commit the sin of suicide. Thereafter, the Christians were thrown one-by-one into the waters of Unzen, all except Paul, who was vengefully dipped headfirst several times. It was not the last time that Old Matsukura’s men would climb Unzen with a party of martyrs. One of Matsukura’s own officers turned himself in at Shimabara, claiming that he had gone into hiding in Fukae, but had realised that his lord would get into trouble with the Shogun if it was found out that he had allowed a Christian to escape. After making this incredible confession, he was duly sent up the mountain with another group of Christians, whereupon Old Matsukura’s men attempted to get some better results. Simply killing the Christians had been proven unproductive, particularly since so many of them went uncomplaining or even gratefully to their deaths. Instead, Matsukura’s men tried to prolong their agony, dipping them in and out of the lakes, splashing them repeatedly with scalding water, and even slicing gashes into their flesh, to increase the pain. When none of this had any appreciable affect, they resorted to a far crueller method. They separated one John Chizaburo from the survivors, and allowed him to sit down and rest for a while. They then told the survivors that the man had been allowed to sit down because he had agreed to cast aside his Christian faith. Eventually, the torturers gave up, tied the survivors together and doused them in scalding water until they died. The pitiful corpses, which ‘appeared as if they had been flayed alive,’ were then weighted with stones and dumped in the lake, in an attempt to discourage other Christians from filching holy relics. Excerpted from Christ’s Samurai: The True Story of the Shimabara Rebellion by Jonathan Clements. In 1638, the ruler of Japan ordered a crusade against his own subjects, a holocaust upon the men, women and children of a doomsday cult. The sect was said to harbour dark designs to overthrow the government. Its teachers used a dead language that was impenetrable to all but the innermost circle. Its priests preached love and kindness, but helped local warlords acquire firearms. They encouraged believers to cast aside their earthly allegiances and swear loyalty to a foreign god-emperor, before seeking paradise in terrible martyrdoms. The cult was in open revolt, led, it was said, by a boy sorcerer. Farmers claiming to have the blessing of an alien god had bested trained samurai in combat and proclaimed that fires in the sky would soon bring about the end of the world. The Shogun called old soldiers out of retirement for one last battle before peace could be declared in Japan. For there to be an end to war, he said, the Christians would have to die. The shocking true story behind Martin Scorsese’s film Silence. 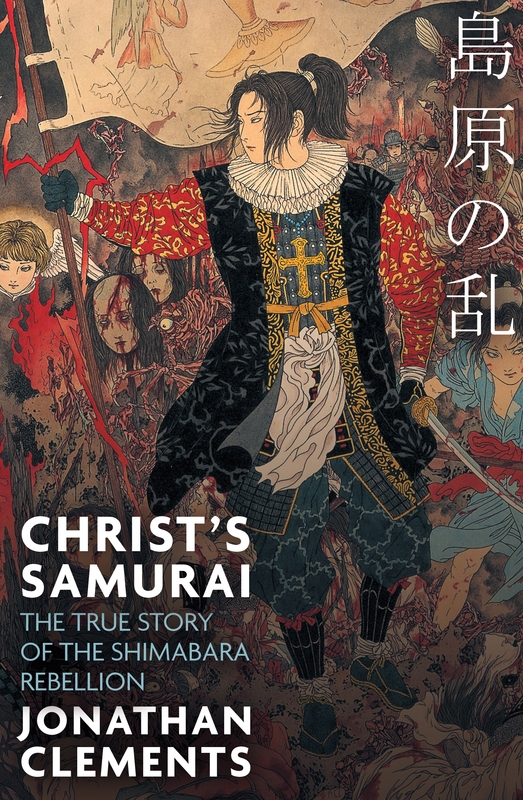 Christ’s Samurai: The True Story of the Shimabara Rebellion, is available now in the UK (and here in the US). Read extracts here and here. In the legends of Japan’s Hidden Christians, we can see the preservation of the Christian faith, seemingly by word of mouth, in the utmost secrecy, throughout the centuries of the Shōgun’s persecutions. The Kirishitan ‘Bible’, as written down by one group in the 19th century, begins with the creation of the world by Deus. The first man is called Adan, created on the seventh day along with the first woman, Ewa. Lucifer (Yusuheru), another of the creations of Deus, demands that Adan and Ewa should worship him, as he is similar to their creator. Deus admonishes all three of them, and tells them not to eat a particular fruit in the land of Koroteru (Portuguese: hortelo – ‘garden’). However, Ewa is swindled into tasting the forbidden fruit, and as a result, she and Adan are cursed for four hundred years. The children of Ewa are sentenced to live on the Earth and worship unworthy gods, until a future date when Deus will send a messenger to show them the way back to heaven. Lucifer is transformed into a demonic form, and placed in the sky as the God of Thunder. Much of the rest of the Old Testament is then skipped over, in favour of the story of Jesus. Mary becomes pregnant by swallowing a butterfly, and spurns the advances of a covetous king in the Philippines. Mary gives birth in a stable, and three days later she is allowed into the innkeeper’s house for a bath. Re-using the same bathwater, as is usual in Japan, the innkeeper’s son, who suffers from a skin disease, is miraculously cured after touching the same waters as the infant messiah. The kings of Turkey, Mexico and France come to offer their congratulations on the birth of Jesus (in a stable), but they tell their story to King Herodes (Yorōtetsu), who orders the massacre of all children – his two henchmen are named as Pontia and Pilate. Fleeing to Egypt across the river Baptism, Jesus and Mary are protected by local farmers, whose crops magically grow as soon as they are sown; farmers who refused to help them are stuck with barren fields. 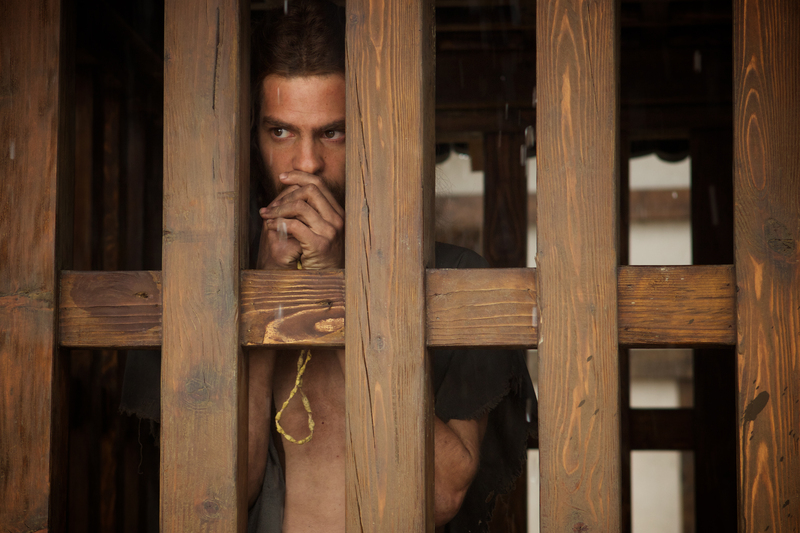 The young Jesus argues over matters of religious doctrine with Buddhist priests, before he is betrayed by Judas (Judatsu), executed and then brought back from the dead. Sacrament, in the belief system of at least one cell of Hidden Christians, is not a thing but a person – a teacher sent by Deus to educate Jesus. Judas is punished for his betrayal by transforming into a tengu – a Japanese demon. These creatures will return to tempt believers during seven years of bumper crops – the last chance for heathens to convert to the true faith. Soon after, the world itself shall be consumed in fire, leading to times so desperate that animals and birds will beg to be eaten by Christians, so that at least some small part of them might survive the apocalypse. Finally, Deus will return to the Earth and sit in judgement upon humanity. Those on his right, the Christian believers, will all become ‘buddhas’, and live eternally. Those on his left, the unbelievers, will be kicked down into hell along with the tengu. Book extract from Christ’s Samurai: The True Story of the Shimabara Rebellion by Jonathan Clements. Japan remained closed in such a manner for more than two centuries, until modern powers, with modern colonial ambitions, began to bang on the gates of seclusion. After centuries in control, the power of the military aristocracy began to wane. It was eventually brought down by the arrival of foreign powers, when the Shōgun, supposedly appointed as a Great Barbarian-Suppressing General, proved unfit for purpose. Not only did the Shōgun fail to keep out American, British and French warships; he proved unable to assert his authority against foreign merchants and priests. Christians were still forbidden from missionary activity in Japan, but by the later half of the 19th century, the growing community of foreign merchants and industrialists in Nagasaki was allowed to have its own bishop. The rules, however, were strict – he was not supposed to talk to the Japanese, only to meet the religious needs of his fellow foreigners, at the newly completed Ōura Catholic Church in Nagasaki’s Glover Hills district. Shortly after midnight on 17th March 1865, barely a month after the church was completed, Father Bernard Petitjean heard a timid knock on his door. He opened it to find a group of over a dozen Japanese people, peering at him curiously. Petitjean was equally curious himself, as his presence in Nagasaki was barely tolerated by the authorities. The baffled Petitjean hemmed and hawed through his beard, and carefully said that Pope Pius IX was probably who they had in mind. ‘Have you no children?’ asked the same man. Petitjean was used to strange questions and his missionary gears, although somewhat rusty after months without preaching to unbelievers, began to grind back into action. Just when Petitjean thought that the meeting could not turn any more surreal, the Japanese bowed low to the ground, chattering excitedly. A woman among them attempted to make things clearer. Father Petitjean was speechless. He could not believe what he was hearing, and truly doubted that the people who had knocked on his door knew the implications of what they were suggesting. One of the women then said something that made Petitjean’s heart leap. ‘Where,’ she asked in Japanese, ‘is the statue of Santa Maruya? For two centuries, scattered enclaves of Kirishitan had continued to worship Deus, despite the Shōgunate’s prohibitions. In urban areas and major population centres, it was impossible to be a believer. But out on the periphery, in remote fishing villages and island farmsteads, Christianity clung to life. These ‘Hidden Christians’ (Kakure Kirishitan) adapted Buddhist rosaries for their own purposes. When called upon to tread upon the image of Christ, they duly obeyed to mislead the government inquisitor, and then sneaked off to confess their sin to a sympathetic fellow, who would absolve them. They pretended to worship Kannon, the Buddhist ‘Goddess of Mercy’, but gave the deity features suspiciously like that of the Virgin Mary. It was the virgin Maruya to the hidden Christians – the name gaining a vowel shift to bring it into line with the secret Christian symbol, the maru, or circle. When the mere possession of a crucifix was liable to land an entire village in deadly danger, the hidden Christians found new ways to hide their symbols. Huddled around a table in their hiding place, the Kirishitan would form a cross made of coins on the floor – a symbol that could be removed with a sweep of the hand. Christian icons were hidden in phony table bases, or in a false back to a household shrine. 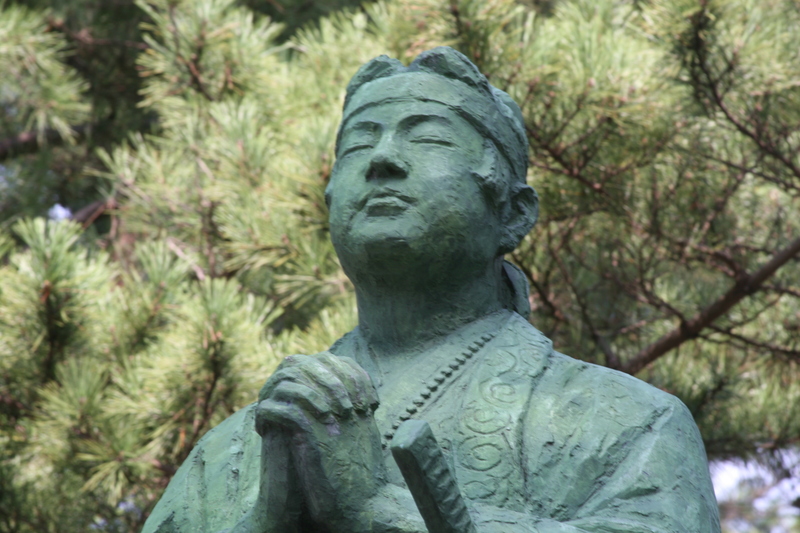 The city of Nagasaki, under direct government control, supposedly had no Christian presence at all, although it somehow gained four shrines to Matsu, the Chinese Goddess of the Sea, and several more to Kannon, the Goddess of Mercy. With the Jesuit books burned or rendered illegible by the absence of those who could read Roman letters, there was no longer a way to preserve the words of the original missionaries. Transmission of the religion proceeded solely by word of mouth, from generation to generation in isolated communities, and inevitably there were strange drifts in meaning. In some places, Christianity became little more than a cult of ancestor worship, where the ancestors who were revered were secretly remembered as Christian believers. Book extract from Christ’s Samurai: The True Story of the Shimabara Rebellion, by Jonathan Clements. JJ O’Donoghue in the Japan Times covers my new book Christ’s Samurai, calling it “a concise and lucid account of a unique period in Japan’s history”. Come for the article, stay for the comments! I was worried I might be accused of being anti-Christian, but it turns out that I am an apologist for missionary subversion and a whitewasher of colonialism… according to an online pundit who hasn’t actually read the book. Out now: Amazon US, Amazon UK. Over at All the Anime, Andrew Osmond writes a long piece about my new book, Christ’s Samurai.